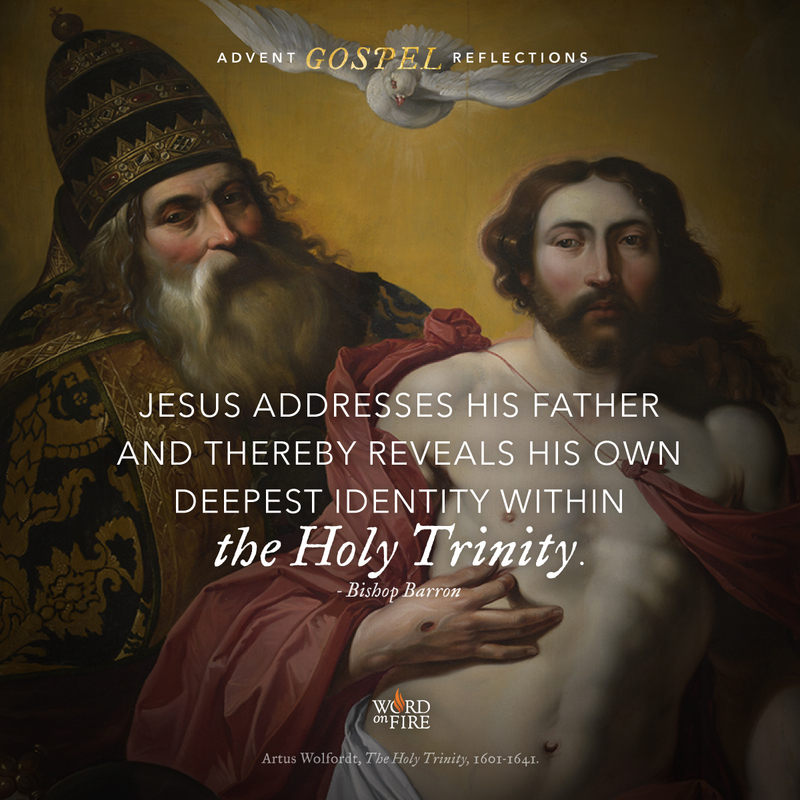 Friends, today’s Gospel passage celebrates the faith of two blind men. 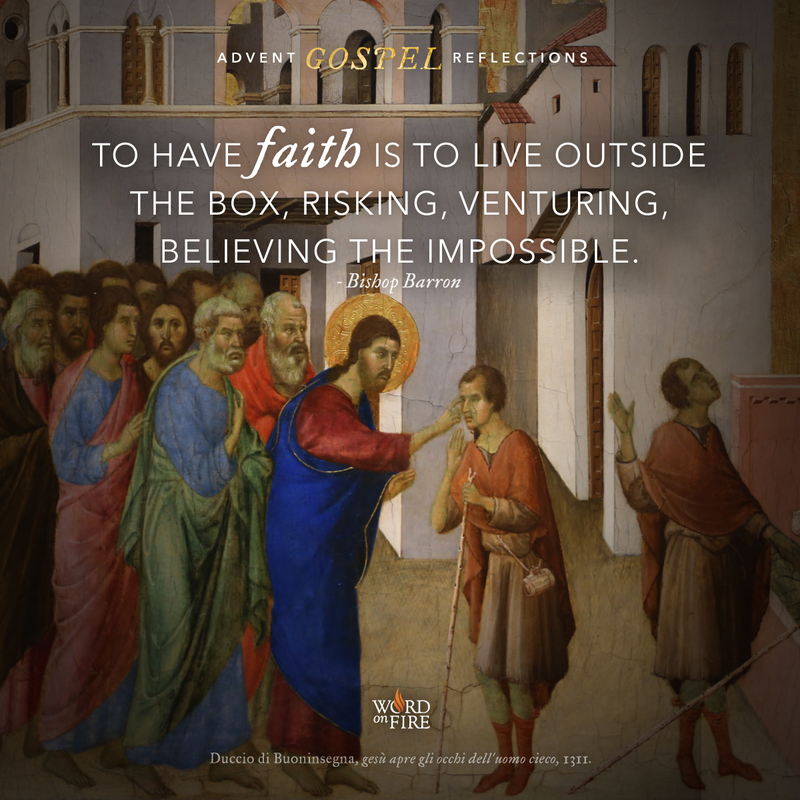 To have faith is—to use the current jargon—to live outside the box, risking, venturing, believing the impossible. When we remain in the narrow confines of our perceptions, our thoughts, or our hopes, we live in a very cramped way. We become closed off to the possibility that sometimes, the power of faith is manifested in spectacular and immediately obvious ways. When someone consciously and confidently opens himself to God, acting as a kind of conduit, the divine energy can flow. Faith allows someone to live in detachment from all of the ups and downs of life. 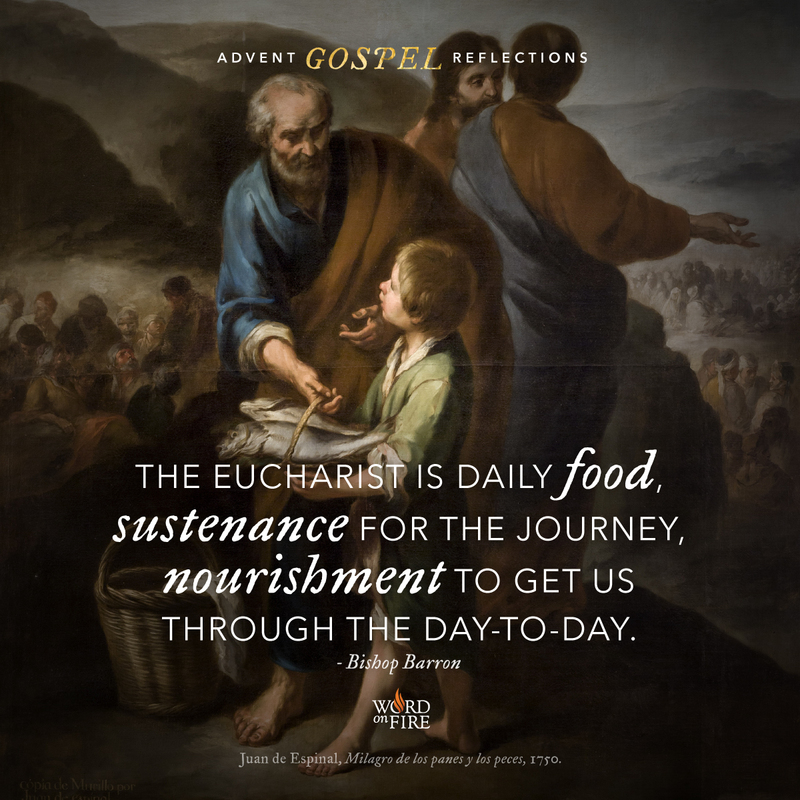 In the language of St. Ignatius of Loyola: “Lord, I don’t care whether I have a long life or a short life, whether I am rich or poor, whether I am healthy or sick.” Someone that lives in that kind of detachment is free, and because they are free, they are powerful. They are beyond the threats that arise in the context of this world. This is the source of dynamis, of real power. 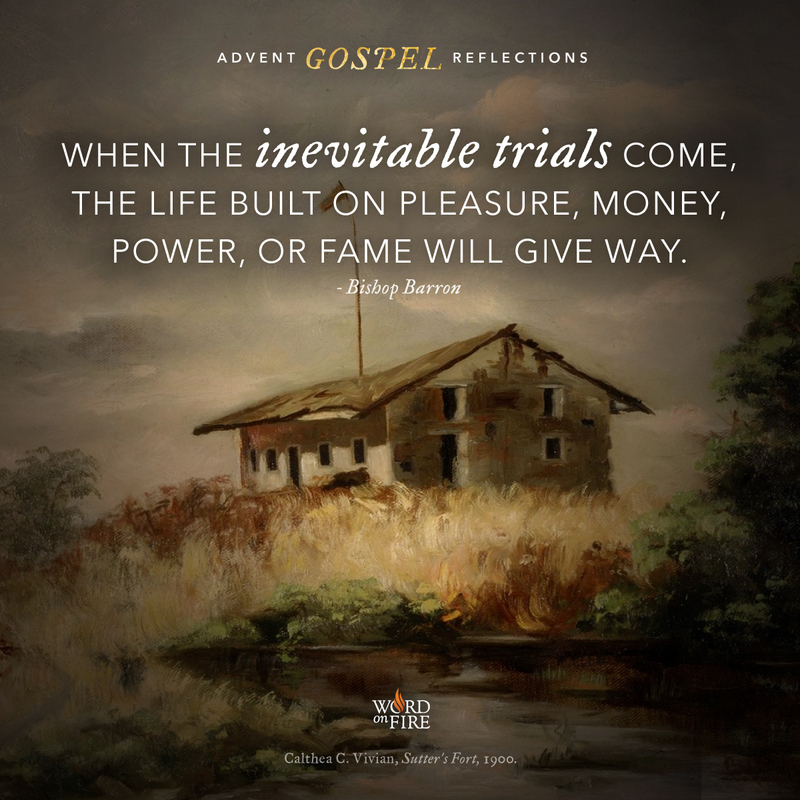 Thanks for reading Bishop Barron's ADVENT GOSPEL REFLECTIONS! 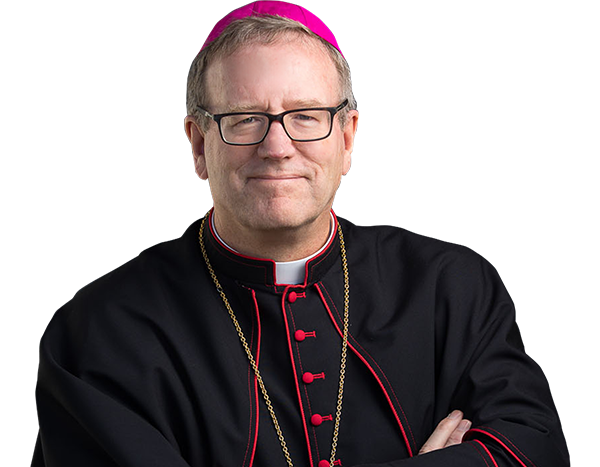 Bishop Barron has years of free content on his Word on Fire﻿ ﻿website, including video commentaries, articles, daily blog posts, and episodes of the Word on Fire Show podcast.